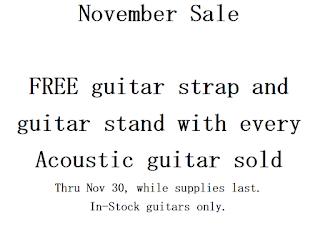 SECOND STRING MUSIC will be open for regular business Friday. We don't do Black Friday. Or Thanksgiving Thursday. Sorry, the $10 toasters will have to wait. We'll sleep instead. I understand the whole shopping experience idea behind Black Friday, and it's genius for the big boxes to think that way. If you want to deal with the crush of humanity and traffic, go for it. But we are small and local and Christmas has already been rock and roll for us. 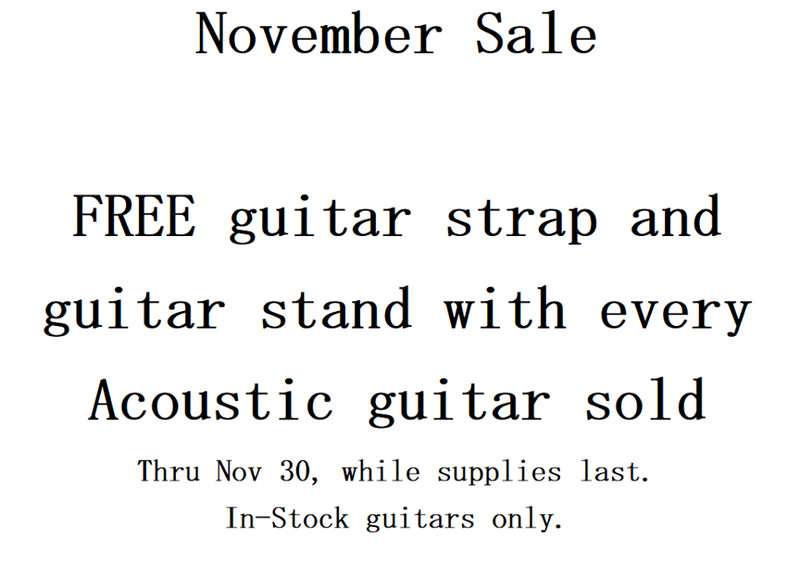 We do have November specials going on right now, including 15 percent off all cables and more deals on acoustic guitars. Don't forget about Saturday in Washington Park, the annual lighting of the Christmas Tree. Adam Yates is bringing the Pepper Doubt Productions PA and we'll be getting merry a full month before Christmas Day. Any excuse to get merry, right? Have fun, be safe, and remember we are always here at Fifth and Maine for your music needs!